Home BOLLYWOOD India Witnesses Its First Ever Clash On OTT Platform! 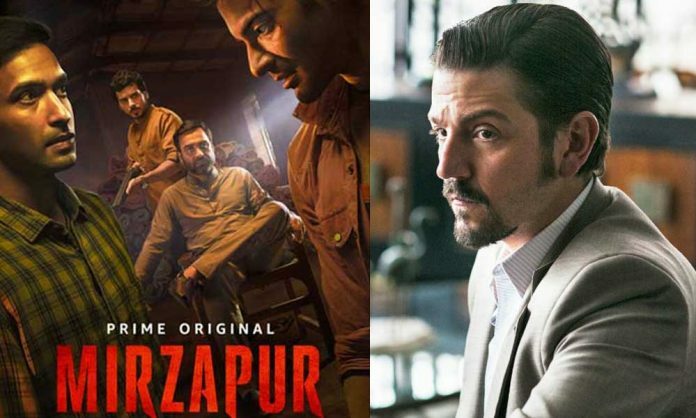 Box office clashes have in the recent times made headlines in the film industry, now the popular clash culture has made its way to the OTT platforms with a high profile clash between Mirzapur and Narcos season 4 : Mexico. The trailers of both the digital series contents are out and the netizens just can’t keep calm to witness the stories of the respective cartels on November 16th 2018. While Narcos’ 4th season brings to the audience the story of the drug cartels in Mexico, Mirzapur is a leaflet from closer home that deals with the dreaded drug lords of Purvanchal, Mirzapur. Both the OTT series are much in news due to their uncensored content exposing the global audience to the menace of drugs and power struggle that comes with it. Narcos is set against the international backdrop tracing the rise and fall of drug cartels, Mirzapur is set in the heartland of India and presents a more rooted and raw depiction of the city. With both the shows running against parallel backdrops, Narcos Mexico vs Mirzapur paves way for the first ever and one of the most talked about clashes in the digital universe. When asked about finding himself amidst the first ever OTT content clash, director Karan Anshuman was confident that the content of Mirzapur will resonate with Global Audience. Narcos: Mexico will explore the origins of the modern drug war by going back to a time when the Mexican trafficking world was a loose and disorganized confederation of independent growers and dealers. The series will chart the rise of the Guadalajara Cartel in the 1980s. Starring Michael Peña in the lead, Narcos :Mexico will feature Aaron Staton and Alejandro Edda in pivotal roles. Created and produced by Carlo Bernard and Doug Miro, Narcos : Mexico is the fourth installment of the popular Narcos franchise. Previous articleJack & Dil Movie Review: The Mystery Tale Of Jack Finding His Love Will Keep You Intrigued!